President Donald Trump on Wednesday tapped a World Bank critic described as a "happy warrior" of pro-growth policies to lead one of the world's primary development lending institutions. 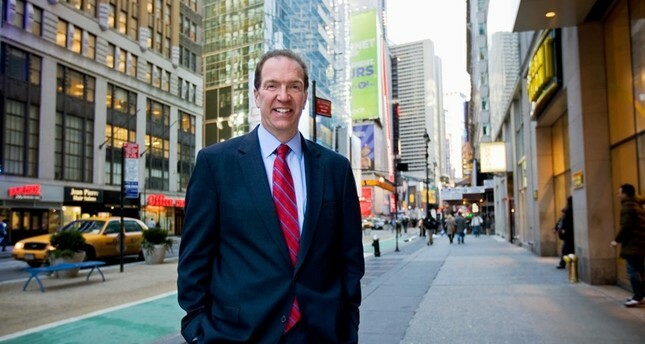 David Malpass, a senior official in the Treasury Department, is a controversial choice but if Trump wins the support of a majority the bank's shareholders, especially European nations, he would have the opportunity to reshape the bank. Trump called Malpass "an extraordinary man" who is the "right person" to lead the institution. Trump's nomination of Malpass, the Treasury Department's top diplomat, is subject to a vote by the World Bank's executive board and could draw challengers from some of the bank's 188 other shareholding countries. The United States, the lender's largest shareholder with 16 percent of its voting power, has traditionally chosen the bank's president, but departing president Jim Yong Kim faced challengers from Colombia and Nigeria in 2012. "He has fought to ensure financing is focused on the places and projects that truly need assistance, including people living in extreme poverty," Trump said in announcing his choice at the White House with Malpass by his side. Malpass, Treasury undersecretary for international affairs, has criticized the World Bank and other multilateral institutions for growing larger, more "intrusive" and "entrenched," and targeted the bank for its continued lending to China, a country he sees as too wealthy for such aid. A senior Trump administration official said Malpass would honor the bank's standards and obligations, including its initiatives to combat climate change. But the official said Malpass would be a "pro-growth reformer" who would implement strategies to better improve economic growth and living standards in the poorest countries. If approved, Malpass would replace Kim, a physician and former university president who stepped down on Feb. 1, more than three years before his term ended. Kim, who joined private equity fund Global Infrastructure Partners, differed with the Trump administration over climate change and development resources.